Making an offside call is impossible! Referees have been criticized by coaches, players, and fans time and time again because of an offside call. A wrong offside call can make or break a team during a game. That’s why referees have to be “on the ball” when making such an important call. Guess what? It’s actually impossible to make an offside call according to science! Eye accommodation is the process by which the eye changes focus from an object that is far away to one that is very close. Now this happens in a split second, usually around 350 to 600 milliseconds with excellent eye sight. 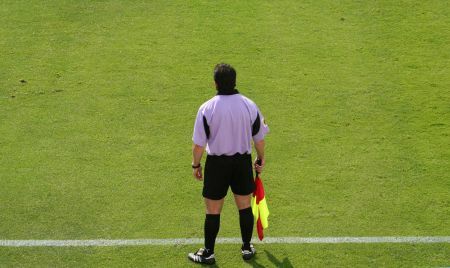 Since the offside rule involves the position of the player in relation to the ball being played, which by the way can happen at any time, anywhere on the field, referees perform eye accommodation almost all the time. 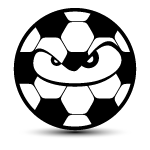 However, a player can move a good enough distance in the time it takes a referee’s eyes to refocus. So how can a referee watch the ball at the time it is kicked, the position(s) of attacking player(s), and the position(s) of defending player(s) all at the same time? In reality, the only way to accurately call an offside play is to stop time. Since freezing time is not available at the moment, I guess we can’t blame the referees for making a bad call! Do you think FIFA should introduce the option of “video replay”? Please leave your comments below! The foosball table disguised as a coffee table!